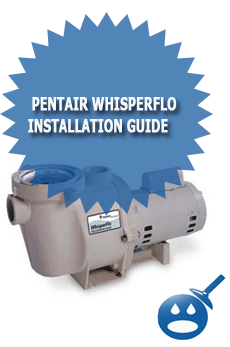 If you just bought a Pentair WhisperFlo Swimming Pool Pump either in new or used condition and you have no idea how to install it, then this Pentair WhisperFlo Installation Guide maybe just what you are looking for. You are going to need some basic hand tools and also some plumbing fittings to install your pump. You will need a large sized pair of channel lock pliers to install the fittings, you will also need a can of glue and PVC primer if you are going to be plumbing in a new pump. You also will need some Teflon tape, a bucket of water to prime the pump and about an hour or two to install the pump. Before you can install the Pentair WhisperFlo you will need to make sure that you have the correct fittings to hook the pump up to the filter system. You will also want to remove your WhisperFlo from the box and packaging material, if in fact you are installing a new pump. Once you have everything out of the packaging and all the plumbing fittings and tools, you will now be ready to start installing the Pentair WhisperFlo swimming pool pump. The first thing you will want to do is to select your fittings for the suction side of the pump(front of pump). Once you have selected your fittings you will want to plumb the suction side of the pump into the filter system. The suction side of the Pentair WhisperFlo connects to the skimmer and the main drain lines. Before you screw your threaded male adapters into the suction side and the discharge side of the pump you will want to wrap the threads with Teflon tape and then spin them in. This will ensure that you do not have a suction leak, at least on the suction fitting. 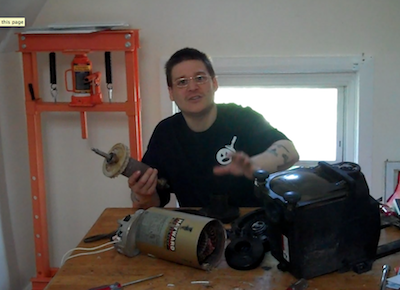 You also will now want to Teflon tape your discharge side male adapter (top of pump) and then you will want to spin that in and then plumb the discharge side of the Pentair WhisperFlo which connects to the swimming pool multiport that is located on the side or top of your pool filter. Once you have plumbed in both the suction and discharge sides of the pump, you will then be ready to prime the pump. 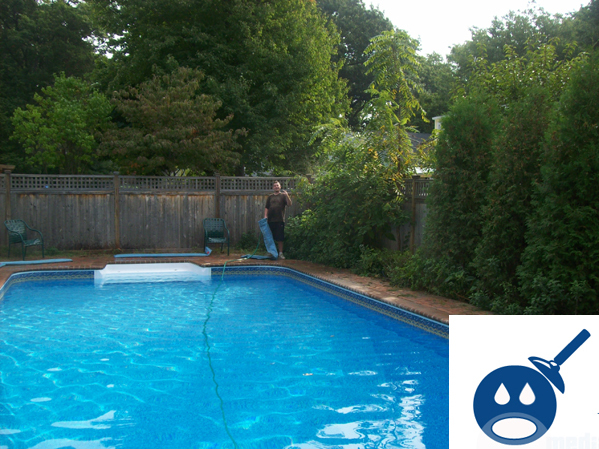 Once you have connect the Pentair WhisperFlo to the swimming pool plumbing and everything else is ready to go you will need to prime the pump. You can prime the Pentair WhisperFlo by removing the pump strainer housing cover and filling it with water. You will need to pour in around two gallons of water into the pump housing, then you will want to re-install the pump housing cover. Once the pump is full of water you can plug the pump in or turn on your timer. You will want to watch the pump to make sure it properly primes. 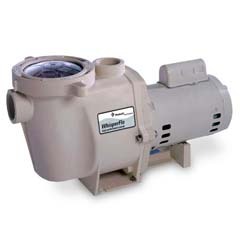 You will see air and water for a few minutes inside the pump housing but after a few minutes you should see a fully primed Pentair WhisperFlo pump. If you do not reach full prime you will need to troubleshoot to see why your pump is sucking in air and where it is coming from.